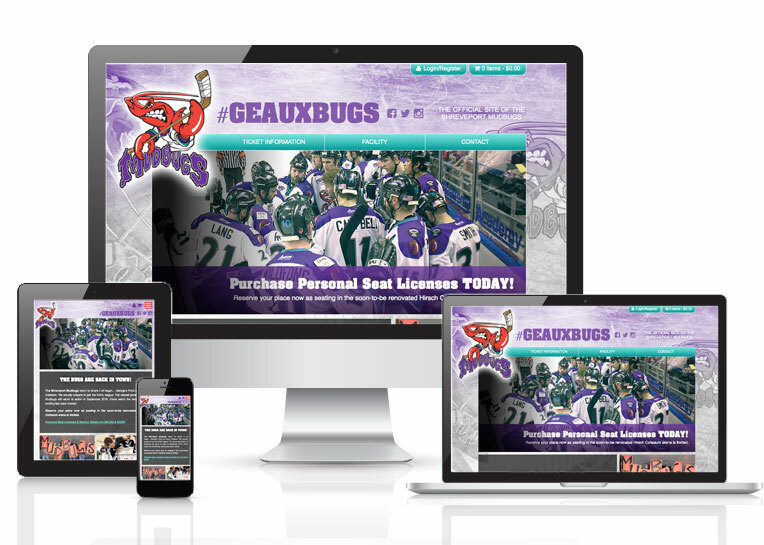 Online Presence Builders partnered with a local, full-service marketing agency KSM to develop a completely responsive and adaptive E-Commerce website for The Shreveport Mudbugs Hockey Team. Purchase your season hockey tickets online! The Shreveport Mudbugs are returning to where it all began….George’s Pond at Hirsch Coliseum. The Mudbugs are proudly prepared to join the NAHL league. The newest generation of Mudbugs will return to action in September 2016. Come watch the hard-hitting, exciting fast pace hockey! Personal Seat Licenses & Season tickets are ON SALE NOW!